MIAMI, Florida -- The Wall Street Journal has offered a correction to a June 4, 2008, story titled "Tourism Firm Files Bankruptcy". The June 6th story incorrectly reported that the bankrupt Deep Ocean Expeditions LLC offered trips aboard minisubmarines to well-healed tourists. The correction states: "Deep Ocean Expeditions LLC, which filed for bankruptcy protection, is the sister company of an undersea tourism firm offering trips aboard minisubmarines to explore shipwrecks such as the Titanic and the Bismarck. Deep Ocean Expeditions Ltd. said its eco-tours won't be affected by the Chapter 11 filing of its affiliate, which was also set up to offer minisubmarine trips but never became operational. An article Wednesday about the bankruptcy filing failed to make a distinction between the two businesses." When contacted, Deep Ocean Expeditions Ltd. said its submersible tourism business is in excellent shape and plans are being currently being made for the 2009 season, which will include trips to the Titanic and the Bismarck wrecks. 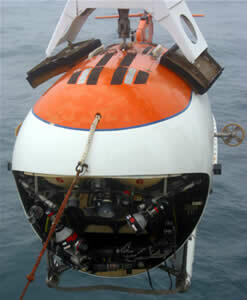 Deep Ocean Expeditions Ltd. was founded in 1998 by Australian explorer Mike McDowell, who with the Russian Academy of Sciences and their MIR submersibles took tourists to some of the most famous deep-ocean sights known to man. Expeditions included trips to the RMS Titanic, Atlantic and Pacific hydrothermal vents, and the German battleship Bismarck. Mr. McDowell and his company also teamed up with “Titanic” director James Cameron on the “Aliens of the Deep”, “Ghosts of the Abyss”, and “Bismarck” documentaries. Mr. McDowell made headlines last August when he joined a team of Russian scientists aboard a submersible that planted a Russian flag on the seabed more that two and a half miles below the North Pole. 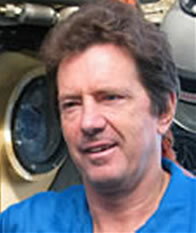 Mr. McDowell is known to be an innovator in eco-tourism. He also founded Quark Expeditions, which pioneered the use of icebreakers to take tourists into the frozen reaches of the Arctic, Antarctic and North Pole. The Seattle-based company charged anywhere from $5,000 to $40,000 per person for dives.